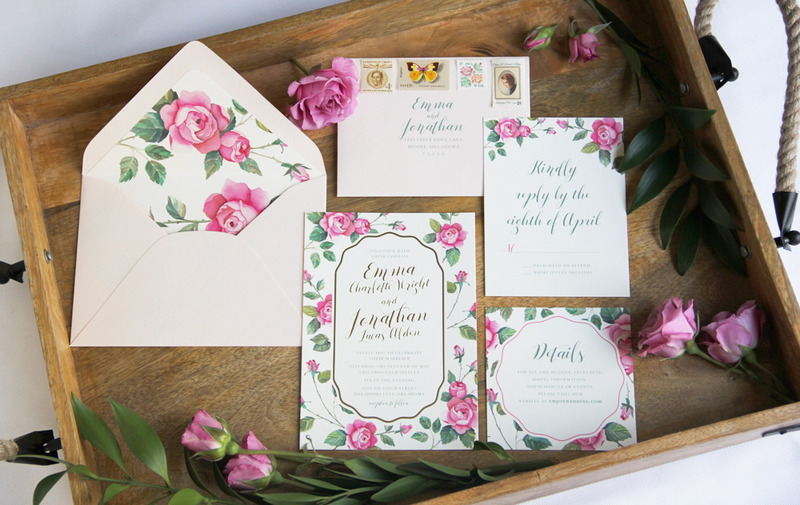 This wedding invitation suite was inspired by vintage rose tea cups. The design features hand painted watercolor roses and gold foil printing on the invitation card. The roses are paired with beautiful calligraphy typography. The suite contains a main invitation card, a response card, a details card, and unique envelope liners for the blush A7 envelope and the response envelope. Day of printed materials include menu cards and table numbers.